Remember back when you were a kid and made your list for Santa? It was so much fun to sit and dream up a list of all the things you’d like to get and wonder which might arrive on Christmas if you were good. 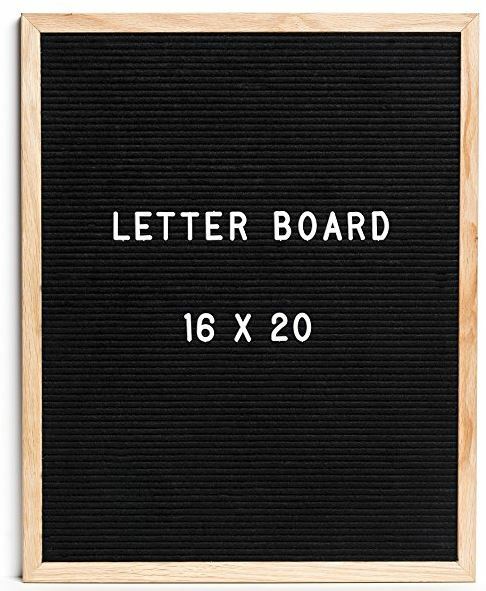 At the top of my list right now is a letter board to go above the craft desk. I’ve been eyeing them on other blogs and friend’s social media for months and love the idea of being able to change up the phrase to fit my mood, or leave little messages for the Hubs from time to time. The size I need for that spot is a little pricey, so I’ve been watching for it to go on sale like it is now, but it’s not in the budget while I’m buying gifts for others. I’ve been needing to replace the shams in the guest room for a while now, since the ones currently in there are from a bed in a bag set I bought several years before we were married. The current ones are faded and missing ties, but I’ve made do with them because I wanted something different but wasn’t sure what, until I found these these shams. They will coordinate with the existing bedspread and tie in the colors of the new throw pillow we got in Scotland on our trip! 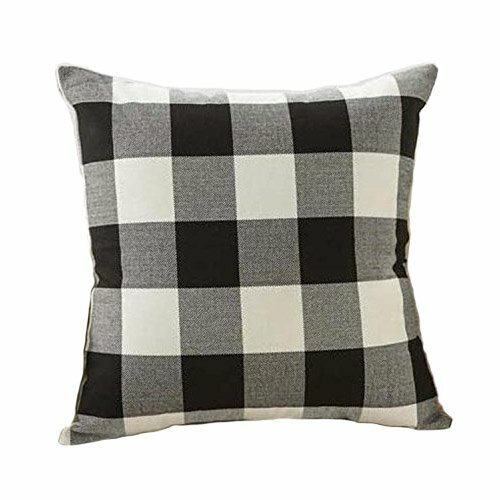 Speaking of pillows, I’ve also been eyeing these check pattern throw pillows for the sofa. 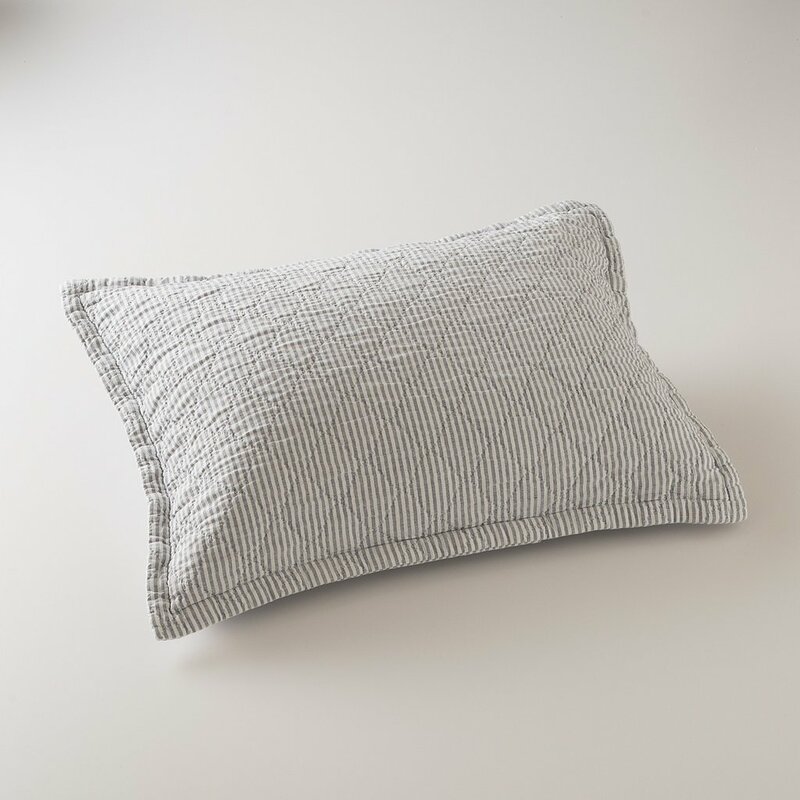 I like their classic but neutral style that would work with my other seasonal pillows. I drive the Hubs crazy with my pillow collection, which grows every year and is in constant rotation around our home, but he and the dogs always seem to enjoy them when they are snoozing on the couch! There are also several small items on my list like these pot holders from the Hearth and Hand line at Target. The pot holders we current have pre-date our marriage and are looking WELL USED. In fact they are getting so worn I’m worried that soon they will no longer be functional. These would be a pretty and safe upgrade! Continuing in the kitchen, I’d like to update our soap dispensers. 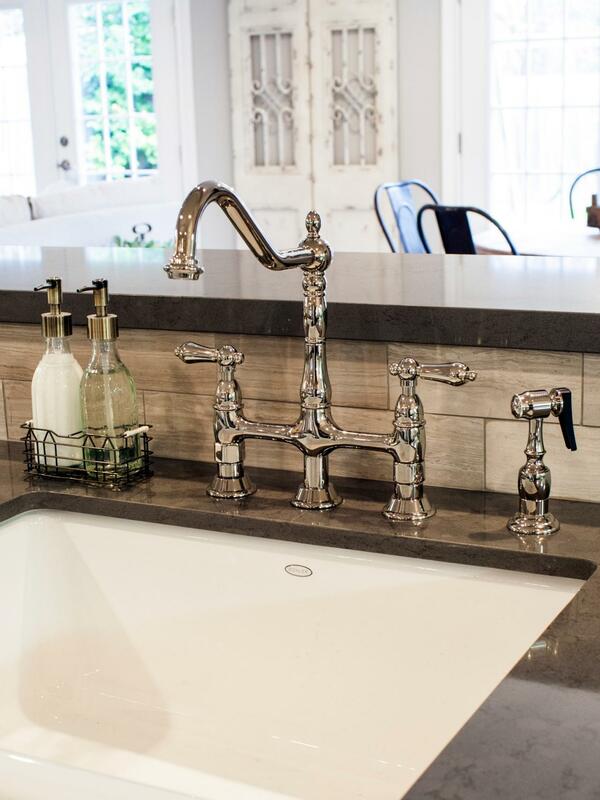 While I still like the DIY ones I created back when we moved in several years ago, I’m ready for something different and love the look of the ones Joanna Gaines uses in her remodels on Fixer Upper like this one. Although I’ve looked, I can’t seem to find her source and she doesn’t have any in any of her retail lines. I found something similar, but the reviews are pretty bad so I’m still on the hunt for a set with metal heads that will be able to take the abuse of daily use at the kitchen sink. I’m also on the hunt for old rolling pins. 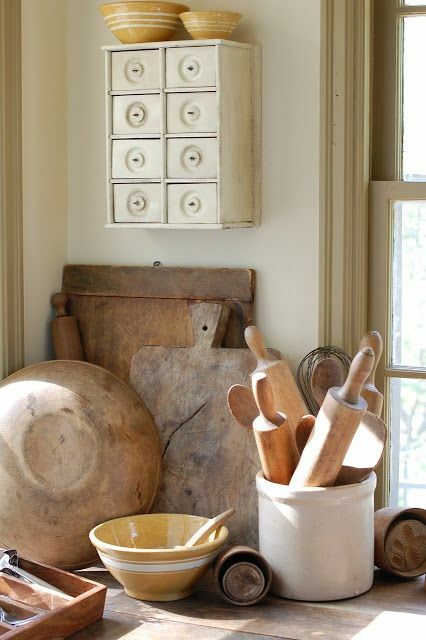 I recently changed up the decor on top of the kitchen cabinets and now have a crock I’d like to fill with a few vintage rolling pins like this. I’m thinking I can fit 3-4 in the crock I have. I’m sure I could find some on eBay or Etsy, but expect they’d be pricey for real vintage pieces. I’d rather find bargains locally on ones that are just “old” since they will be displayed up high and don’t need to look good up-close. I’ll keep an eye out at local thrift shops and on the buy/sell pages, but may also request help from my Mother-in-Law who helps run an amazing church rummage sale each year! Another small item on my wish list is remote-or timer controlled, flameless votive candles. I like using the small votive glass in my decor and it’s a pain to switch each candle on and off each time I want to use them. If they were on a remote or timer like my Luminara candles it would be much easier to enjoy them. Some I’ve seen online had horrible reviews but this set seems to hold up and work well. Although we’re firmly in winter’s grasp, there are a few wishes for when the weather allows gardening again, like a new cement bird figurine to replace the one that froze before I could get everything in the yard pulled for winter. It cracked and fell apart when I picked it up! It was a random gift from my Mother-in-Law during one of our trips so I was pretty upset that it broke. I’ve searched online for another just like it, but haven’t found just the right one. During the search I did find this cute little hedgehog who might have to find a home in my garden next season! And of course there’s a few photography items I’d love to get, including several I snagged on black Friday sales. But one I haven’t gotten yet is a new camera strap for my backup camera. The current one is a bit too bulky and I’d like to switch to a scarf style like I’ve been using on my primary camera for the past several months. I’ve found several on Etsy that would be great options ranging from floral to modern and even classic. I guess that is a pretty long list, but like I said mine runs year round – and I’d like to think I’ve been good this year, so a gal can hope right?! I’d love to hear what’s on your list!